During this Lenten Season, we ask that you pray for priests across our nation and around the world. Visiting Knoxville and don't see a Mass time that fits your schedule? 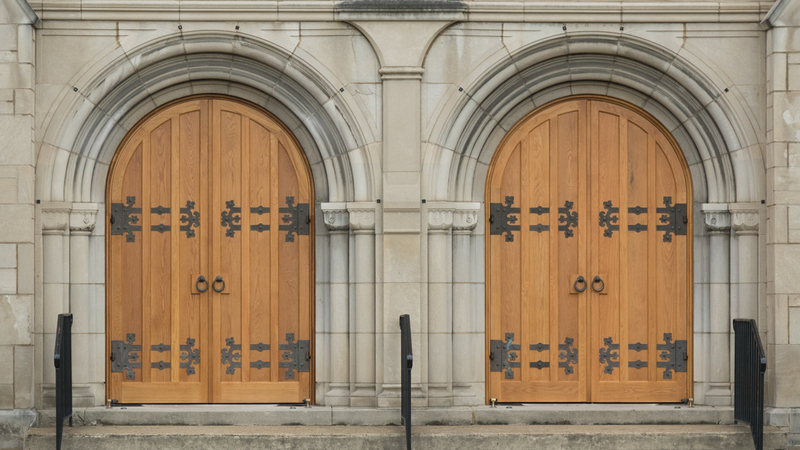 Click here to view Mass times at other Catholic churches nearby. Our Holy Ghost app is now available to download for iPhone and Android smartphones! Stay connected with our parish community throughout the week with instant notifications for parish groups, an easy-to-access event calendar, and quick access to our parish bulletin. 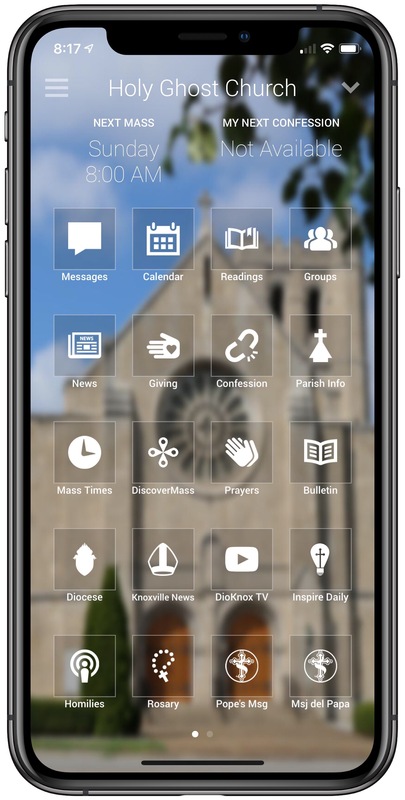 Also enjoy additional features like prayers, daily readings, helpful reminders to silence your phone before Mass, and much, much more. Learn more and download now at myParishApp.com! Please come in to learn more about our parish community. Click either door to enter.